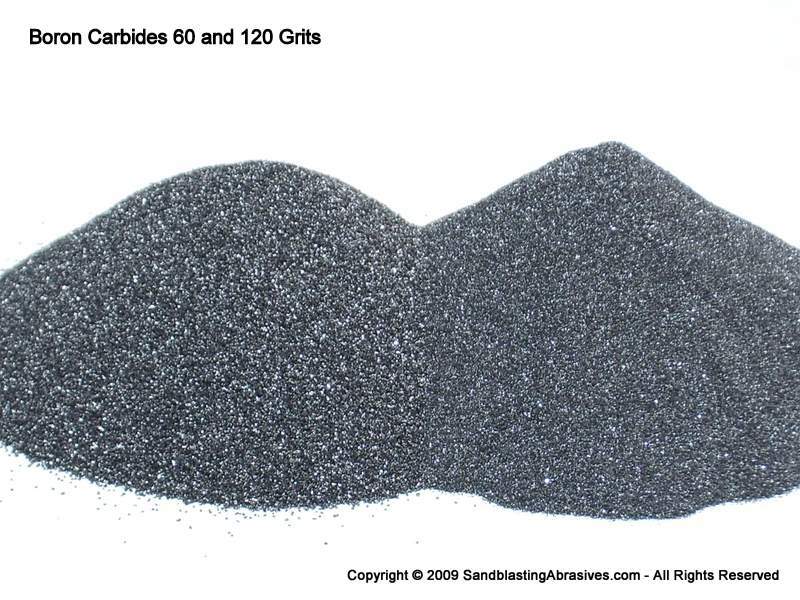 Boron Carbide Sandblasting Abrasive Grit & Powders - Order Online! Order high quality FEPA graded Boron Carbide powders online here! PRICING IS PER LB, WITH A 5 LB MINIMUM ORDER. Shipping: Small orders for boron carbide media under 200 lbs ship via UPS Ground. See details below for larger orders. Excellent for Lapping, Polishing, and Surface Prep Applications. Boron +Carbon = 98% minimum. Default Packaging: Default packaging is in fiber drums. Weight of drum depends on the grit size. Discount Pricing: Please use our Quote Request form to obtain custom pricing on larger quantities, with freight. Remember to tell us your ship-to address and the total number of lbs or tons you want a bid on.